Mr. Gray is a strategic thinker, a trusted advisor, and brings a wealth of nearly 30 years of business, dealmaking, and investing experience. 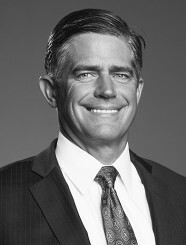 Mr. Gray has expertise in tax and corporate structuring, generational planning, and acquisitions. Mr. Gray serves as a sell side M&A advisor to business owners who desire to exit their firms while achieving optimal value. Mr. Gray began his M&A career more than two decades ago as a buy-side deal maker for an automotive roll up backed by Bain Capital. He co-founded and served as President of an investment hedge fund advising individual and institutional clients with peak assets of more than $650mm. Since monetizing that investment twelve years ago, Mr. Gray has purchased and sold positions in multiple lower middle market companies. Mr. Gray is a member of the Michigan Bar Association and is a Certified Public Accountant. In addition, Mr. Gray has assisted many clients with legacy and investment planning. Mr. Gray earned his Juris Doctor degree from Wayne Law School, where he was the top Moot Court Oralist. He earned his Masters in Business Administration from the University of Michigan where he focused in Finance. Mr. Gray graduated from Northwestern University where he earned a Bachelor of Arts majoring in both Economics and Mathematical Methods in the Social Sciences. Mr. Gray holds several corporate and ministry board positions and enjoys investing in private companies where strategic partnership has the potential to catalyze significant growth.